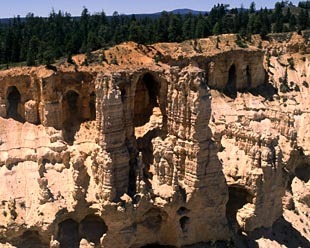 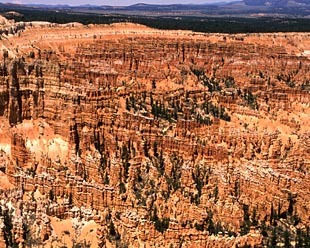 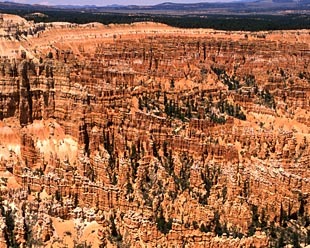 Bryce Canyon, the amazing canyon is located in about 180km northeast from Grand Canyon USA, and altitude of about 2500m. 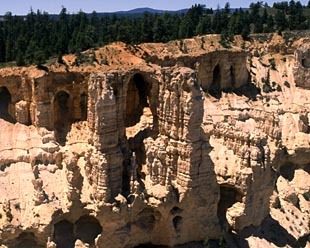 There are a lot of needles made of the rock eaten away. 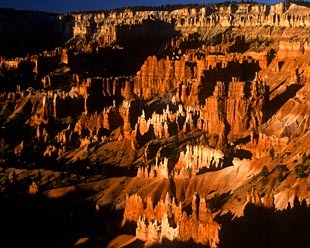 The rocks that have been eaten away for a long time sometime look like a base made by men or aliens. 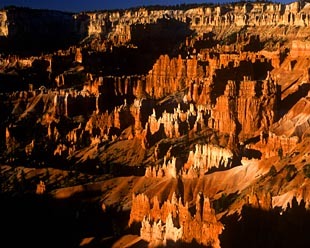 When sunset has come, the needles shine with orange in response to solar light, and Bryce Canyon increases the mystery further.